Put the edge back on your blunt tools with this handy little tungsten sharpener. A few strokes along the blade - perhaps as few as 2 or 3 - will restore an edge to its keenest. 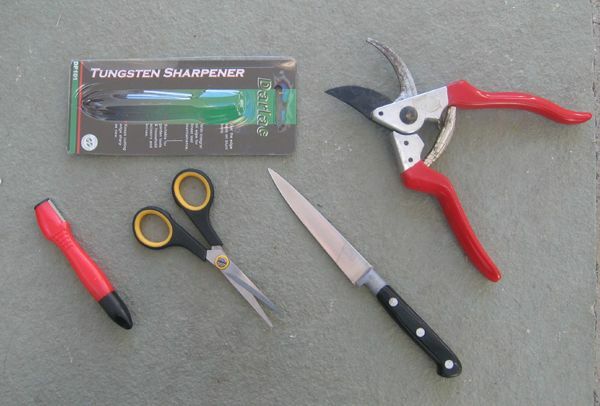 Suitable for garden tools such as secateurs shears etc and also household knives and scissors. Once finished fits neatly in a pocket and so readily available for a re-sharpen when clipping hedges and so on. Also contains an integral oil wiper and reservoir for the enthusiasts who take special care of their tools.